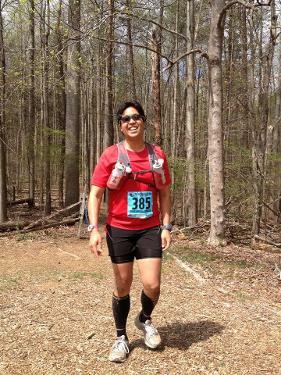 Run a 100 Miler; Re-qualify for Boston; Stay Healthy! I was rounding the corner of my first Marine Corps Marathon finish and all of my friends were there to greet me at the finish line. You never forget the cheering and the energy of the first marathon. To finish the race where I had trained meant the world. After all the hard work, I had transformed into a marathon finisher. I wanted to give back. I had my share of experiences with pacers and the idea of helping other fellow runners achieve their goals was something that drove me. I’m a lot of fun and I’ll help you be patient! 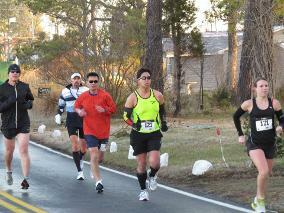 The marathon is about have confidence in your training. You did all the hard work to get to the start line. Respect your body, take the beginning miles easy, take in the energy, and then go in the final miles. Negative splits will make for a positive experience. When we run together, we’ll push and encourage each other. Then we can smile when we cross the finish line together. I mentor fellow runners who have had health issues and now run train for marathons. 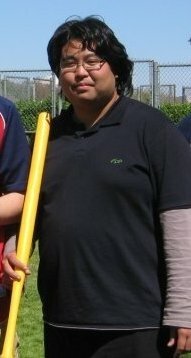 This is Jeff in 2008 before he became a runner.